…and even with the time running away from us, we can still create some amazing dishes that will delight our family members or guests! 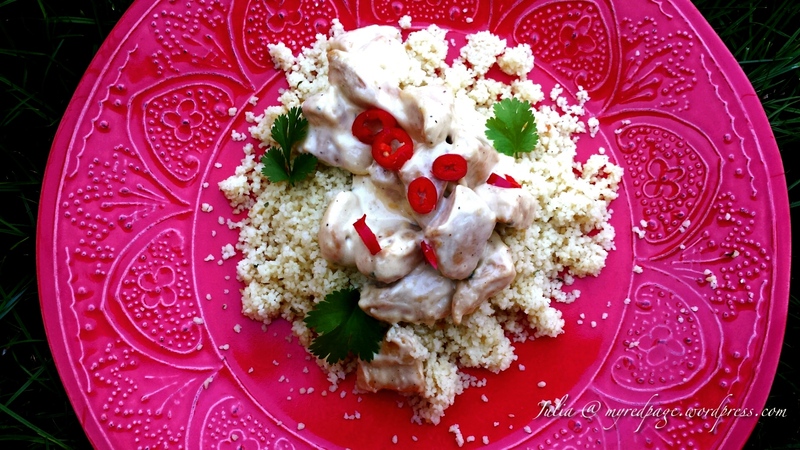 I will share with you one of the fastest dishes I ever cooked…and guess what…it’s delicious! 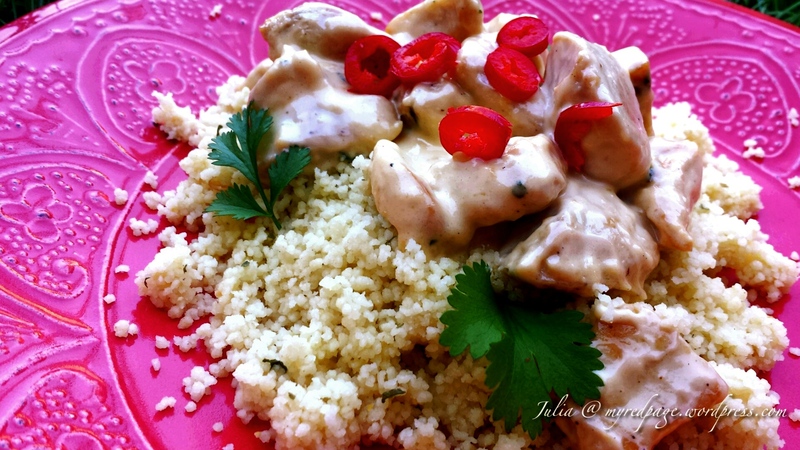 Ingredients: 2 chicken breasts cut in cubes, salt, pepper, a pinch of chopped parsley and oregano, 200 ml double cream, 150 g couscous, 1 vegetable cube. Method: Dissolve the vegetable cube in 300 ml of hot water and pour it over the couscous; cover for a few minutes until the couscous softens. Drizzle a bit of olive oil over it and mix it with a fork. Place the chicken breast cut in cubes in a hot pan with a bit of vegetable oil and parsley and oregano. Cook over medium heat until chicken turns slightly brown ( 5-10 minutes). Just before taking it of the heat pour in the double cream and slowly mix for a couple of seconds. Sounds delicious, I must try it. I think our cooking styles are similar to some extent. I would rather make something out of whatever is in the kitchen than get a precooked meal, that’s how the best recipes are born. Love the plate too! Damn that food looks good!